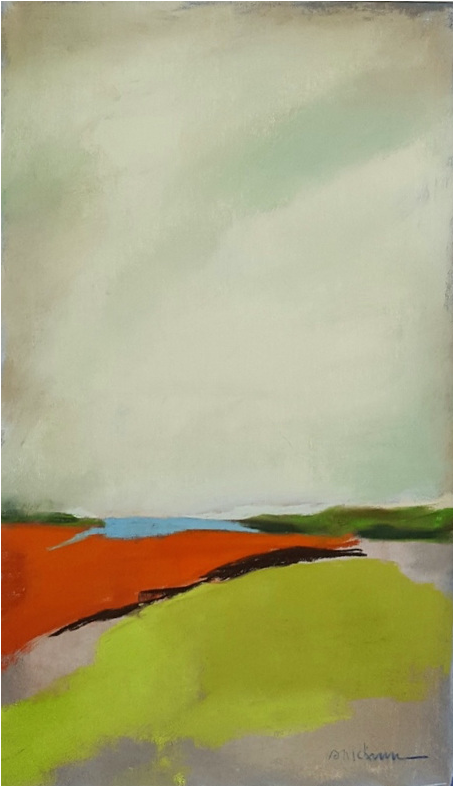 Sunny McKinnon is a Houston-based artist who takes inspiration from the beauty and variety of the Gulf Coast countryside. Her work jumps from black-and-white charcoal drawings to traditional oil paintings to, most recently, landscapes rendered in pastels. 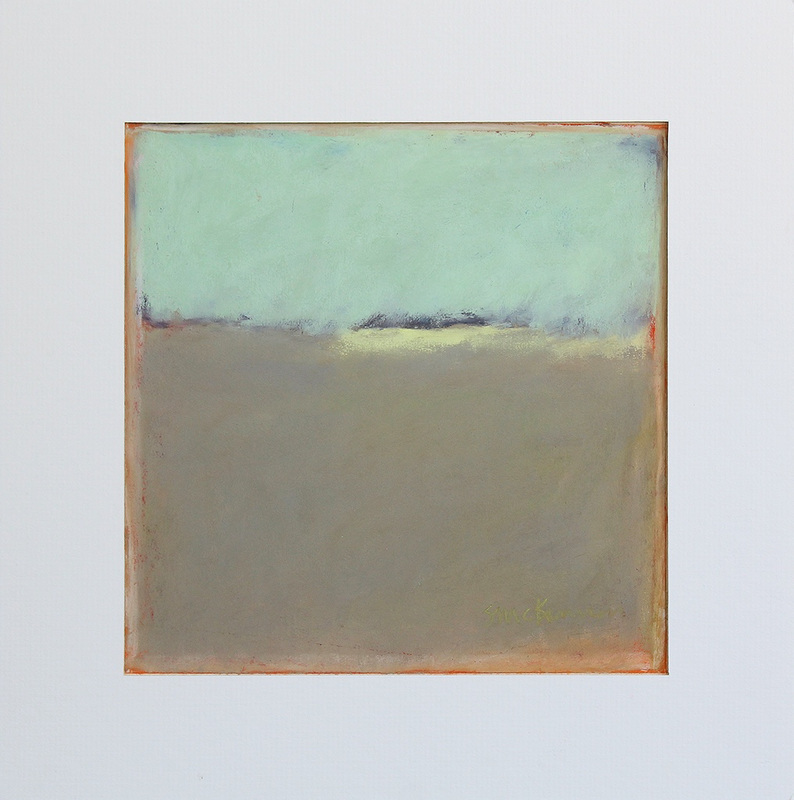 This latest series is motivated by Texas’ flat coastal plains and inspired by the palettes of Fairfield Porter, Mark Rothko and Esteban Vicente. She studies at the MFAH Glassell School of Art and continues to challenge herself in workshops with artists throughout the country. She is a member of the Visual Arts Alliance and the Outdoor Painters Society. Sunny also writes and publishes the PSST monthly newsletter. PSST: Do you have any tips you would like to share on marketing, exhibiting or social media? SUNNY: My professional background is in writing, working for agencies and companies in editorial, advertising and marketing writing. So, while that means I know the importance of marketing, it doesn’t make it any easier. My only advice would be do it all. SUNNY; My artistic process is best described as wabi-sabi, a Japanese aesthetics that is defined as ‘a view centered on the acceptance of transience and imperfection. The aesthetic is sometimes described as one of beauty that is imperfect, impermanent and incomplete.’ The imperfection, impermanence and incompletion I have mastered. The beauty, I’m still working on. The process is the most important aspect to me. I enjoy the puzzle, the problem solving of finalizing the composition. Even when I’m working abstractly, I often start with a charcoal thumbnail sketch. Many times, I prefer the black-and-white sketch to the finished art. PSST; How do you describe your painting style and color choices? SUNNY: My painting style would probably be described as abstraction, based on realism. Color is hard for me, so I am always very cautious with choosing hues. I am easily influenced and I find I always want to try every new technique, every different media and every subject that comes across my path. On the wall, just above my drawing surface, I have a little card that says ‘you cannot chase two bunnies.’ It is there to remind me to stop and focus on one thing at a time. It doesn’t always work, but it helps. Although the ink and the charcoal and the oil paints are lingering in my studio, I have been concentrating on pastels for the past three years. 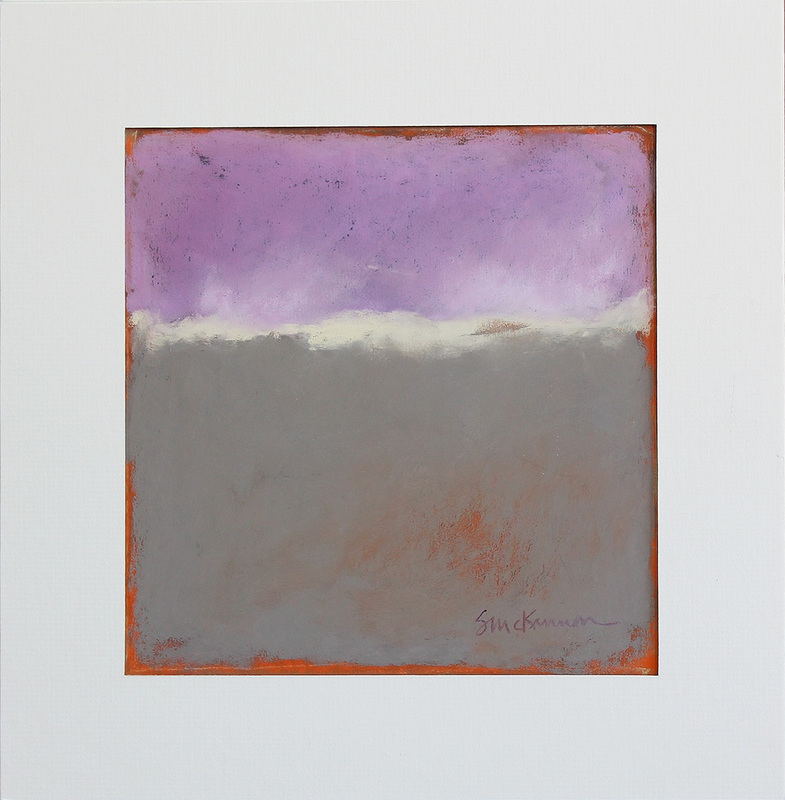 My pastels are abstracted or transitional landscapes. 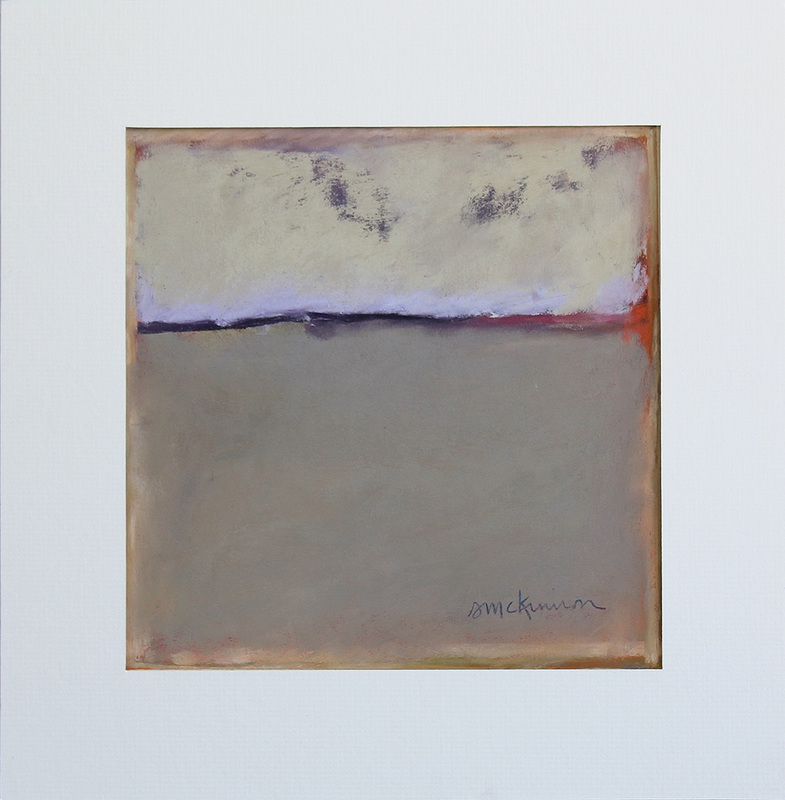 I am influenced by the images and color palettes of Milton Avery, Agnes Martin, Fairfield Porter, Mark Rothko and Esteban Vicente. PSST: Continued learning is important. Do you have a favorite workshop instructor or book that you would like to recommend and why? Tell us what events or classes you have coming up. 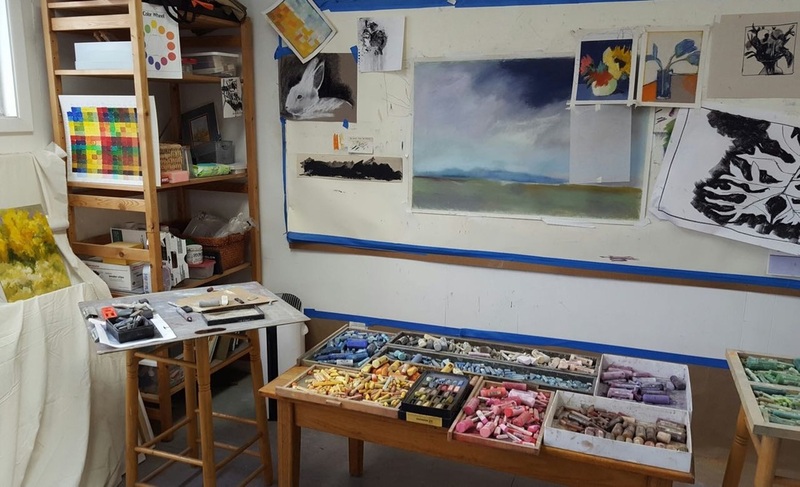 My interest in pastels leans to the abstract and I have taken workshops with pastelists such as Jen Evenhus, Casey Klahn and Debora Stewart.